CEOs and sales managers have long struggled with ensuring their sales team sells on value, not price. They hold rah-rah sales meetings that tout the benefits of the product and services. They teach negotiation skills, with the goal of salespeople standing firm on the price when meeting with a professional buyer. So why do salespeople still discount too often and too quickly? It’s the classic case of working on the wrong end of the sales problem. Your sales team members may not lack negotiating skills – but they might lack the soft skill needed to execute the hard skills: emotion management. Without emotion management, the salesperson gets emotionally triggered and the reptilian brain -- the survival part of the brain -- takes over the sales conversation. The salesperson defaults to fight-or-flight responses because he is worried about losing the deal, about survival. He starts overselling and defending the price, repeating all the product benefits. This verbal vomit only makes him look like a desperate salesperson. Emotions, not effective selling and negotiating skills, are running this meeting. The salesperson’s behavior triggers the prospect’s reptilian brain. “This salesperson seems desperate … What’s wrong with the product/service? … Why is he pushing this so hard? … I don’t want to make a bad decision … I guess I better keep looking.” Game over. So what can you do to improve your sales team members’ ability to manage emotions? State the emotion. Research shows that by simply stating the emotion you are feeling, you can move the internal conversation from the reptilian brain to the prefrontal cortex, the logical brain, which will help the salesperson execute the correct response. “I’m feeling disrespected. I’m getting upset.” State it and you will move it. Pre-call planning. Salespeople are caught off guard by good negotiators because they don’t invest in planning for objections and negotiations. Sales is predictable and good negotiators negotiate. Stop being surprised and start being prepared. The more you mentally and verbally plan for a sales meeting, the more prepared you are. Preparation allows you to be in control of yourself, your emotions and your responses. Work on the right end of the sales challenge if your sales team is selling on price. Develop your team’s emotion-management skills and pre-call planning. The result will be consistent execution of the negotiation skills, the hard-selling skills, required to win more business at the right margin with the right clients. 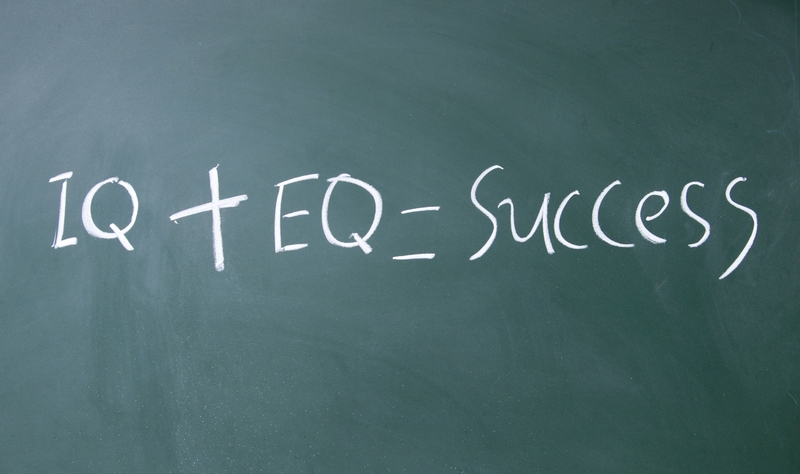 Soft skills do produce hard sales results. Improve your ability to manage emotions by attending SalesLeadership's next Ei Selling 2- Day Boot Camp. Call 855-241-7739 for more information or to enroll today.